Want to add some cheerful swag to your windows? 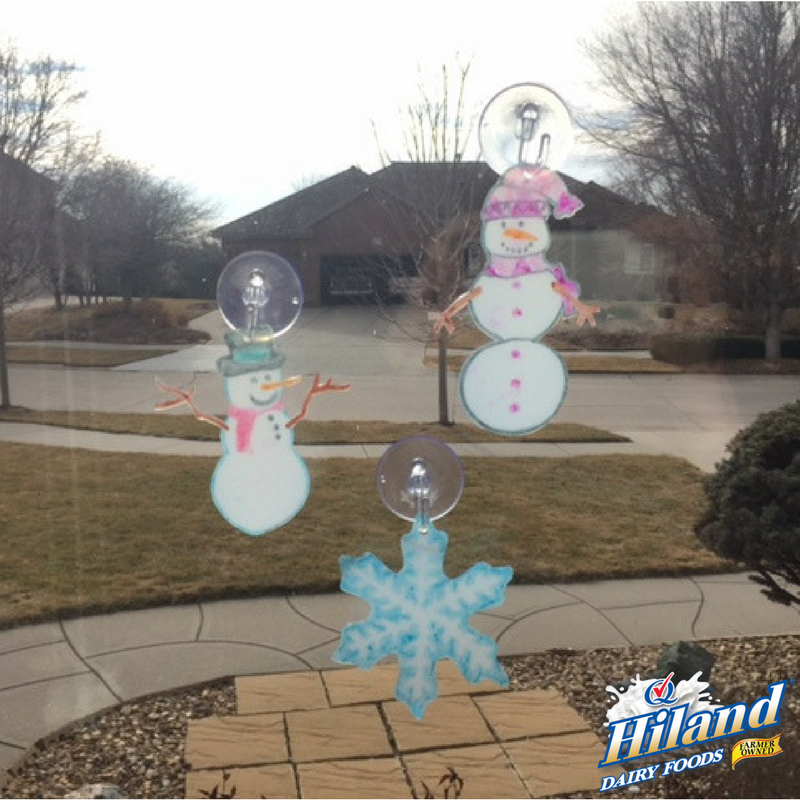 Think snowflakes and snowmen this winter, and let the fun begin. 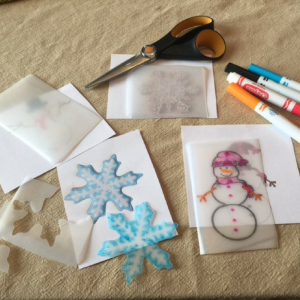 These sun catchers are simple to make and will brighten your home when the sun shines in! Cut out a large, flat square from the smooth side of the milk jug. 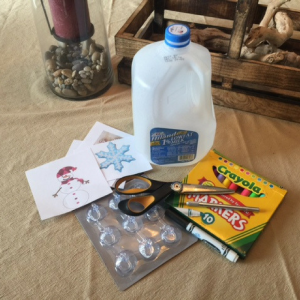 Place the snowflake and snowman images facing up underneath the milk jug square. Trace and decorate the images using colored markers. 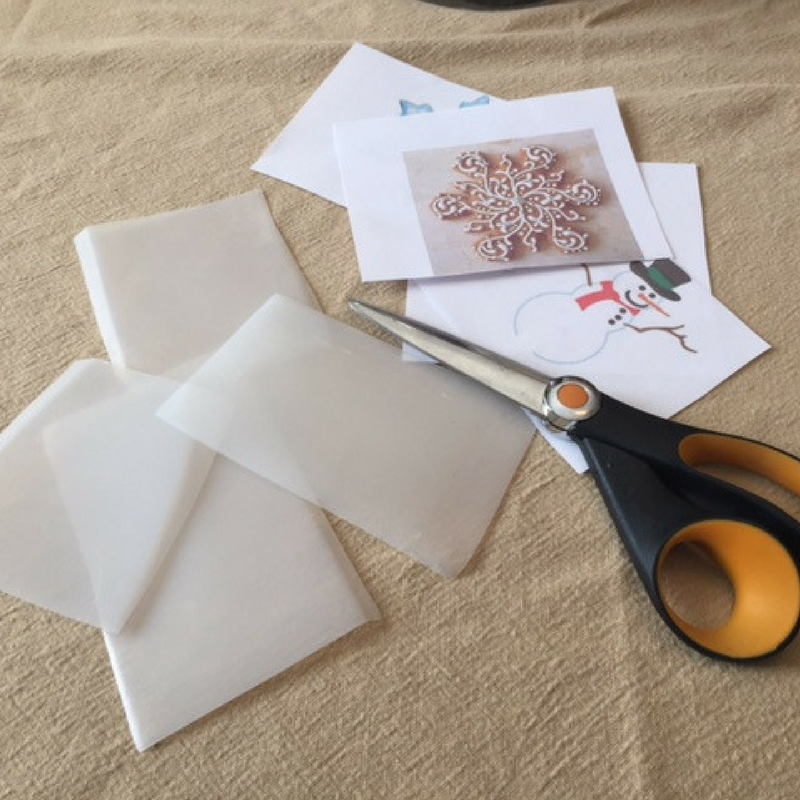 Using scissors and a craft knife, cut out each snowflake and snowman. Punch a hole at the top of each cutout. Hang each sun catcher on a window using a suction cup hook. Don’t just stop at winter decor! Cut out hearts for Valentine’s Day, or leaves for fall fun! Kiddo’s birthday coming up? Create a birthday cake and balloons to celebrate the big day!